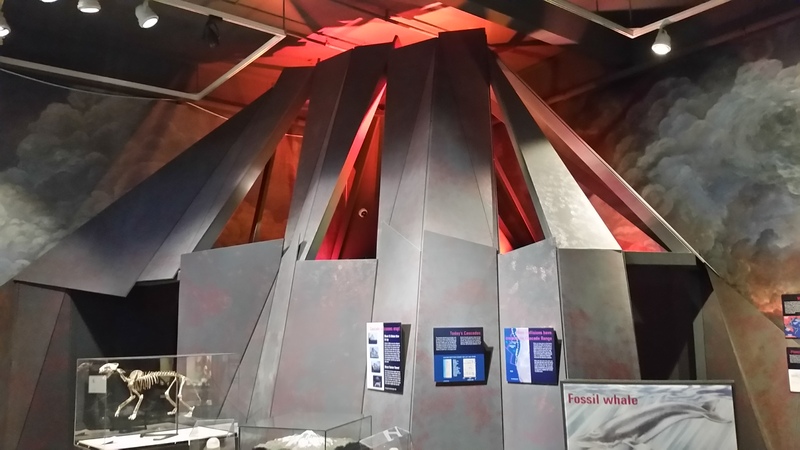 The first surprise is a secret Canadian plesiosaur! This is a cast of the Puntledge River Elasmosaur from Vancouver Island. 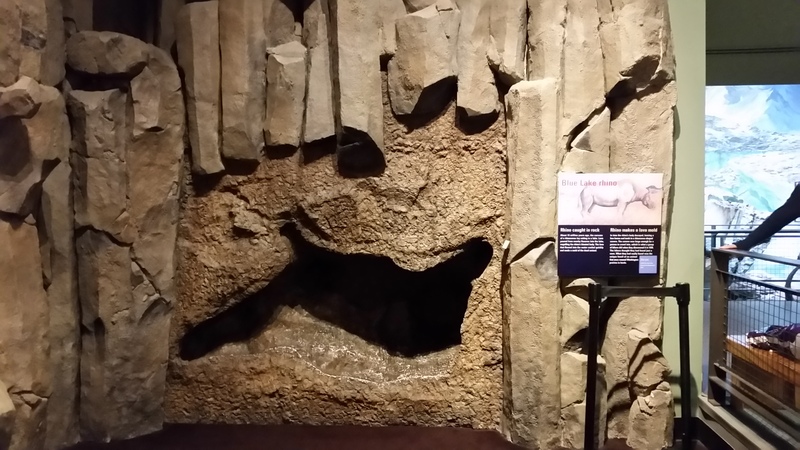 But never fear, there is one home-grown dinosaur fossil in the Burke – a partial theropod limb bone representing the only known dinosaur material from Washington. It’s a big fellow and a cool find, especially given how rare dinosaur material is from the west coast of North America. 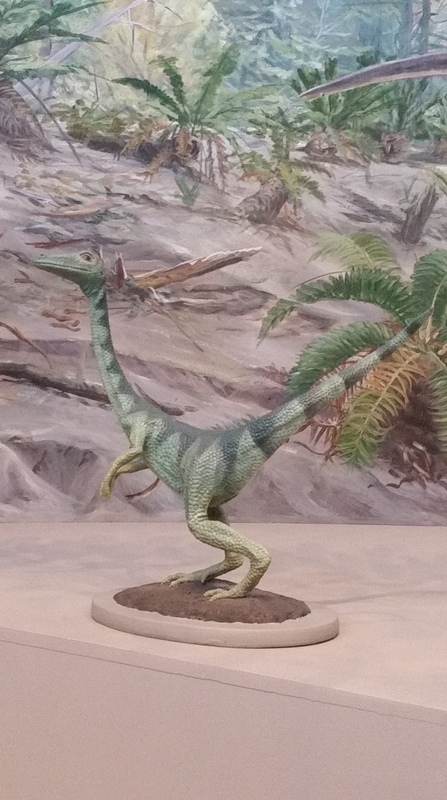 I enjoyed these charming retro models of early little dinosaurs – here we have Ornitholestes (sans nasal crest! 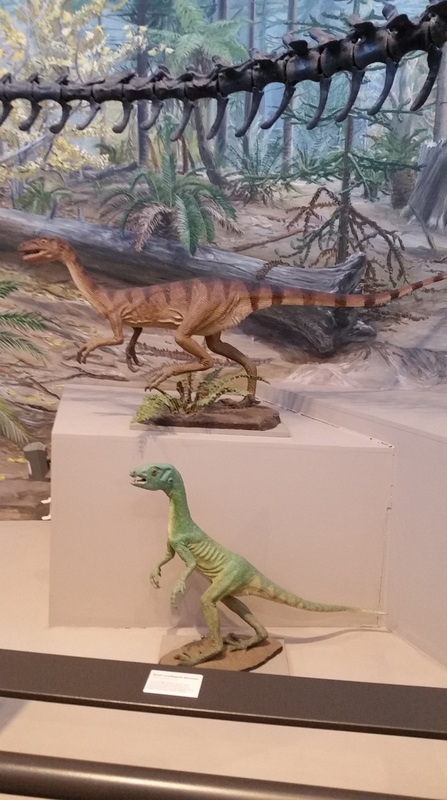 ), Heterodontosaurus on a diet, and Compsognathus having a bad back day. 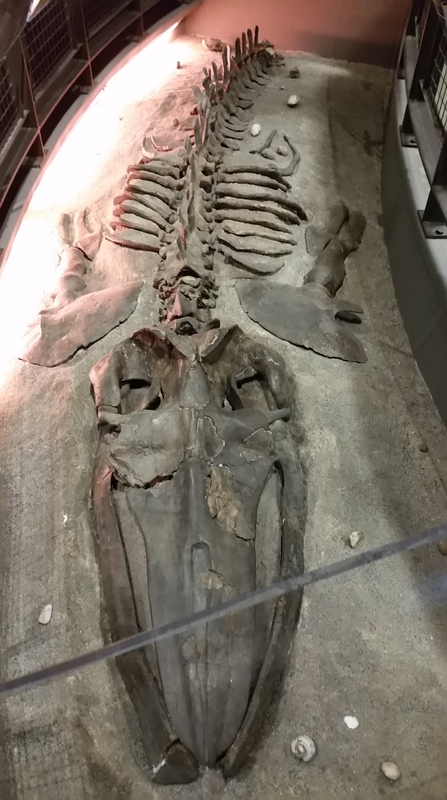 Fossil whales are also pretty great and this fellow JUST got named a few weeks ago! 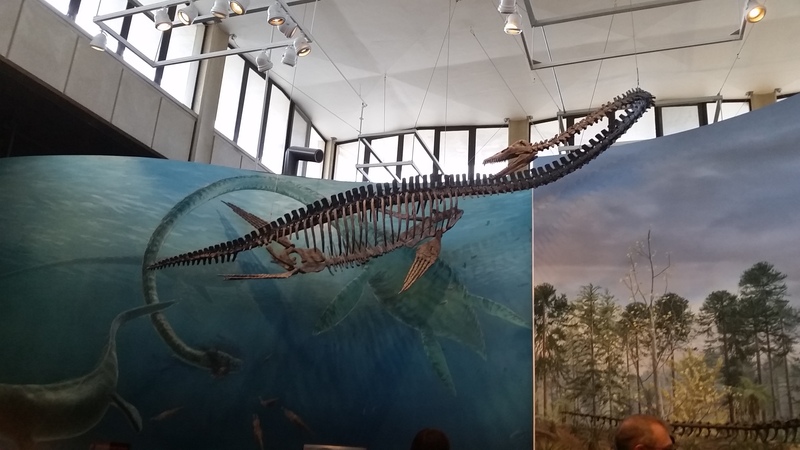 Meet Sitsqwayk, a chaeomysticete whale – an early representative of the baleen whales, at a time in their evolutionary history where they were just losing their teeth and switching to baleen instead. Bonus fake dinosaur! 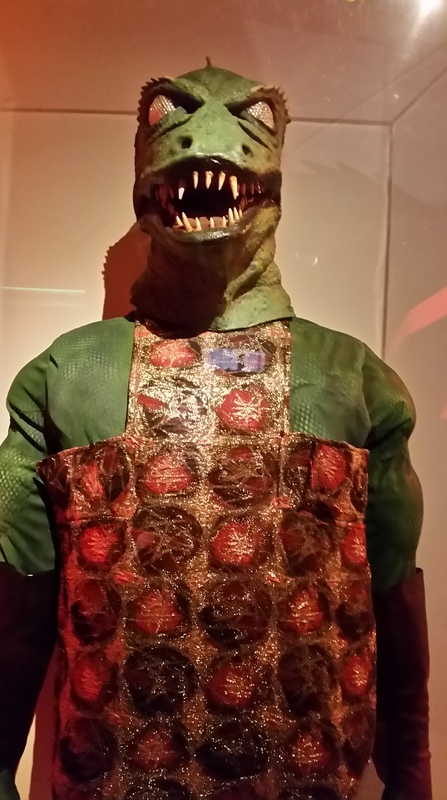 We went to the Star Trek exhibit at EMP and got to see Gorn! Bonus real biology! Our road trip took us up through the mountains of British Columbia and Alberta, and at our stopover point near Mt Robson we camped next to spawning salmon. One of the world’s great migrations, and a special sight to see. Wow! That rhino is something else. Weird stuff DOES seem to keep happening to rhinos. My mind also dredged up something I’d read about a “pickled” Coelodonta preserved in kerosene (am I remembering that right? I never found a great source).